The purpose of this site is to share my gaming experiences in a way that complements existing sites, helps new players learn the basics, and recreates a game reference that brings back that nostalgic feel of the classic game manuals of long ago. The layout and design will be more minimalistic than other sites to make it more mobile friendly. I’m not a professional blogger and didn’t major in English, so I apologize for grammar and lack of polish on the site. I publish for fun and for the gaming community. I’ve always like to play Archer characters in game. I believe it was while I was playing Vanguard Saga of Heroes that I created a character called Bowdacious. Later in the same game, I got the title “the benevolent” which I used until the game ended. Since most of my online friends called me Bow-Dee, I shorted the website name to BenevolentBowD. At the moment I am enjoying The Elder Scrolls Online and that is the focus of my content. Most of the content consists of crafting information and I have a few regular posts where I track the history of popular vendors on the PC NA server. In game, I help the Tamriel Trade Centre Guild with their daily scans of the Guild Traders on the PC NA Server. Bowdacious “The Benevolent” is born in Vanguard: Saga of Heroes and is seen here in his adventuring gear. In 2010, the good reference sites of my favorite game at the time started to go offline. At that time I decided to use my technical skills to help the community out. After doing some research for a good long term home for gaming content, I began posting content on the Vanguard: Saga of Heroes Wikia and was promoted to the site administration after being recognized as a major contributor to the site by the site’s founder. When the game was discontinued by Sony Online Entertainment, the site had over 6,000 articles and I had racked up over 24,000 edits. After Vanguard, I began my adventures in Elder Scrolls Online: Tamriel Unlimited with a few former guildies and began posting quest information on the elderscrolls.wikia.com site. Shortly thereafter, I became a proud father of one and then two young children. Gameplay was cutback and when I finished inventorying all the quests for the Ebonheart Pact faction, I took a break from Wikia. My favorite genre of games are fantasy themed massive multi-player online role playing games. My interest in the Fantasy genre games started with the Ultima franchise, The Bard’s Tale, the Dungeon and Dragons series by SSI Simulations, and later the Baldur’s Gate franchise by BioWare. 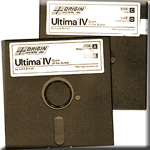 Ultima IV Media for the Commodore 64. My first MMORPG was Asheron’s Call. 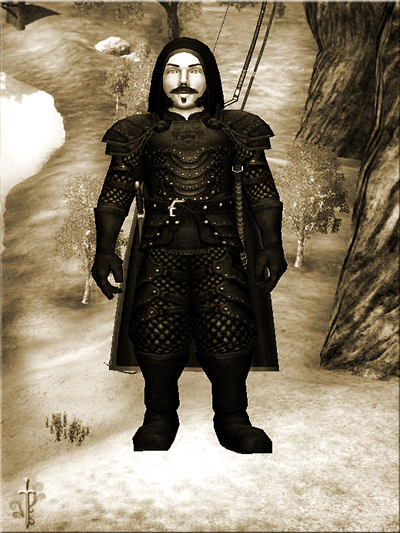 Over the years, I have played since played Asheron’s Call 2, Horizons: Empire of Istaria, Everquest II, World of Warcraft, Lineage II, Dungeons and Dragons Online, Vanguard Saga of Heroes, Lord of the Rings Online, Age of Conan, Warhammer Online, and Elder Scrolls Online: Tamriel Unlimited. When looking for a game to play, I prefer sandbox games with a lot of content and a crafting system that is suited for short play sessions. I like to experience the game and not rush to the “endgame”. What I’m not looking for is a time-sink-easy-button game that holds your hand and is filled with micro-transactions, or a game that looks too “cartoony”. The game, characters, and images presented in this publication and associated trademarks and copyrights are the property of their respective owners.